World Wrestling Entertainment has named Chris Jericho as one of the top ten wrestlers and one of the top five talkers of all time. Certainly, the past six years have been spectacular for Jericho. After a sluggish return from his 2005 sabbatical, Jericho found new inspiration in watching No Country for Old Men and completely reinvented his character ultimately going on to capture three world WWE titles. Jericho has a one-of-a-kind comedic voice and a knack for getting himself into screwball situations both in and out of the ring. See for yourself why he is the best in the world. Chris Jericho is the son of NHL hockey player Ted Irvine. He splits his time between Los Angeles and Tampa, where he lives with his wife and three children. Peter Thomas Fornatale is a freelance writer, editor, and Jerichoholic. He lives in Brooklyn, New York, with his wife and daughter." 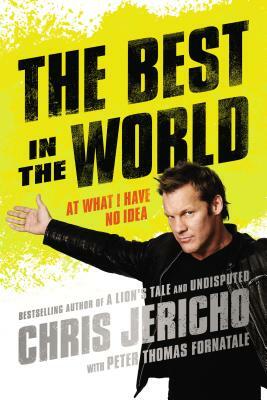 "Jericho could quickly become the 'undisputed' wrestling author champion of the world."